With technology becoming a valuable resource to police departments, the CPCA Technology Summit aims to inform attendees about the new-and-improved devices available to help fight crime and better serve your community. 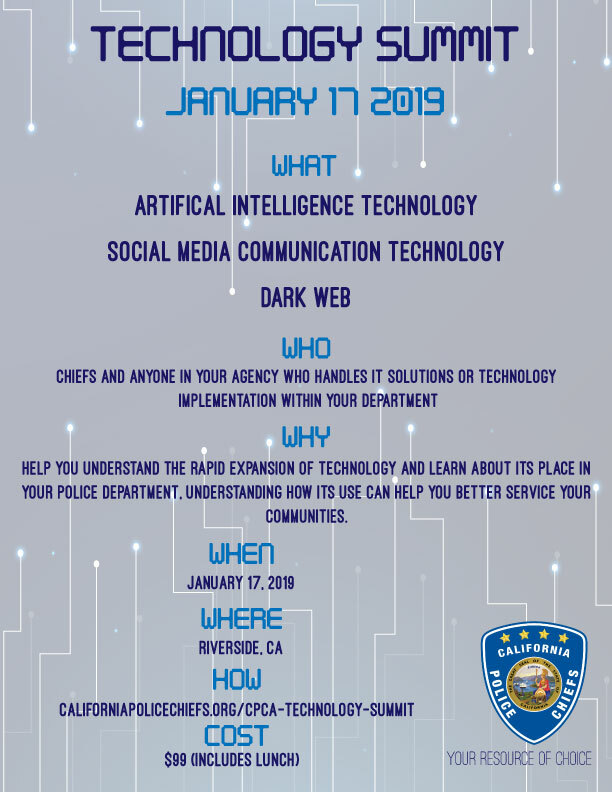 In addition, we will help you understand the rapid expansion of technology and learn about its place in your police department, understanding how its use can help you better service your communities. - Limited to the first 120 people. *Please contact Corey Gerhard to inquire about becoming a sponsor. The technology summit is a great way to get one on one exposure with persons that strictly handle IT relations in police departments.